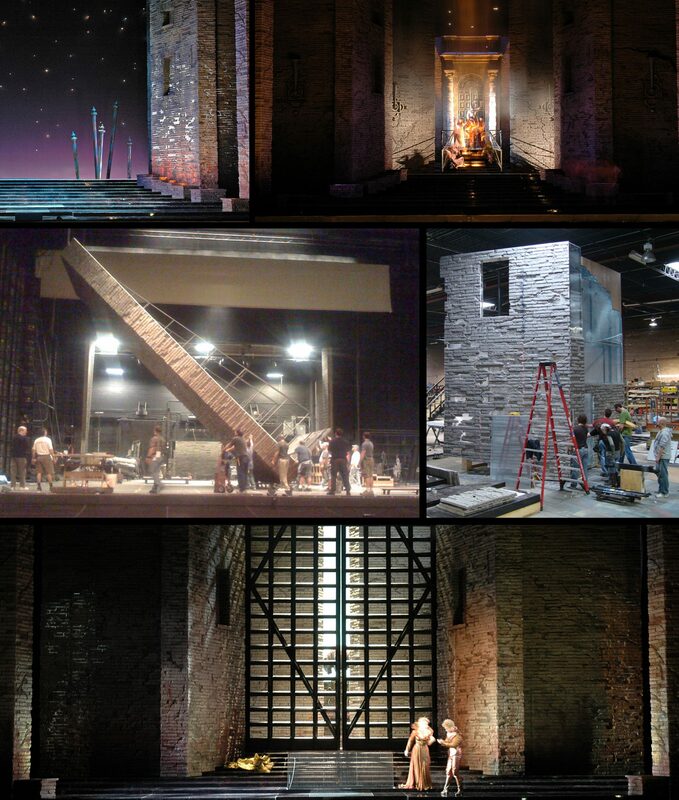 We created 40′ tall hand carved, hard coated brick walls that track on and off stage. The walls can be backlit through a translucent substrate to create a “bleeding wall” effect. The first time on stage, set up was completed in less than 12 hours.